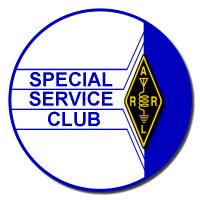 The Amateur Radio Club of Augusta is a Special Service Club and is affiliated with the American Radio Relay League (ARRL). Our club call is W4DV. Our repeater is located in Trenton, South Carolina and is on a tower height of 700 feet and has wide range coverage. We have been chartered since 1948. We participate in numerous club special events and sponsor a local Hamfest annually. We offer assistance for those who are unlicensed and for those wanting to upgrade. We hold monthly club meetings located at the H2U building in back of Doctors Hospital in Augusta. You do not have to be a member or licensed to attend our meetings. Our meetings are open to everyone and we welcome all visitors. Our membership consists of many knowledgeable men and woman and have traditional values of radio communications. Our members also have additional interest and participate in ARES, DXing, and Skywarn communications. We welcome new members and would certainly welcome any suggestions and comments you may have. If you are interested in becoming a member download the membership application orattend our monthly general meeting and fill out a membership application.